We are inspired by the west coast for June’s feature frame of the month! 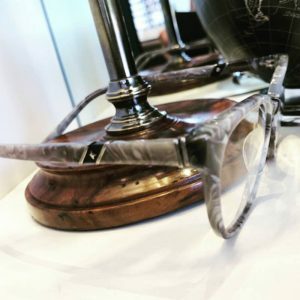 The frame Cottee, color Emperador/12k Silver and style semi-cat eye was chosen from one of our newest ophthalmic collections, Leisure Society. 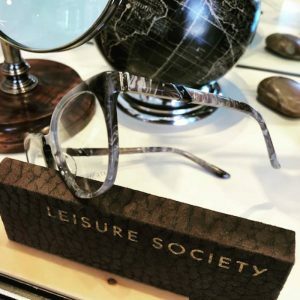 Leisure Society is a California luxury brand that was founded by Shane Baum. Baum’s authentic perspective of what life should be: spending time with family, friends and enjoying intimate moments of absolute leisure is a perfect reminder for everyone not to take life seriously sometimes. Additionally, this frame was chosen because of its unusual color and temples that are 100% pure titanium plated in 12k silver blended together with Japanese cotton-based acetate. 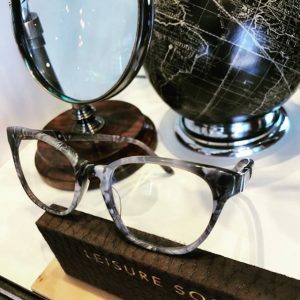 Likewise, all Leisure Society frames are handcrafted in Japan. Stop by either of our stores in Cranberry Township or Fox Chapel to see this frame and more today!